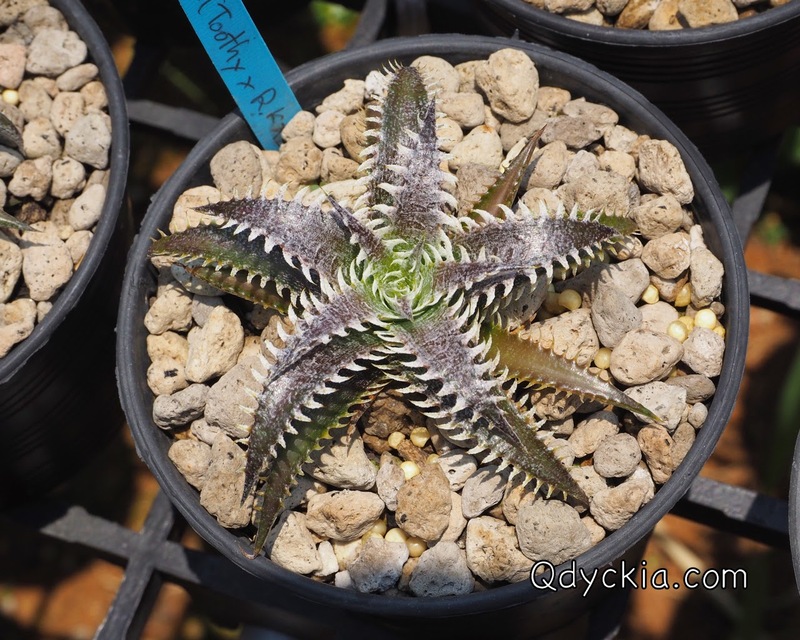 Good morning all, today we will see some new hybrid from Qdyckia, they will be ready for you soon. 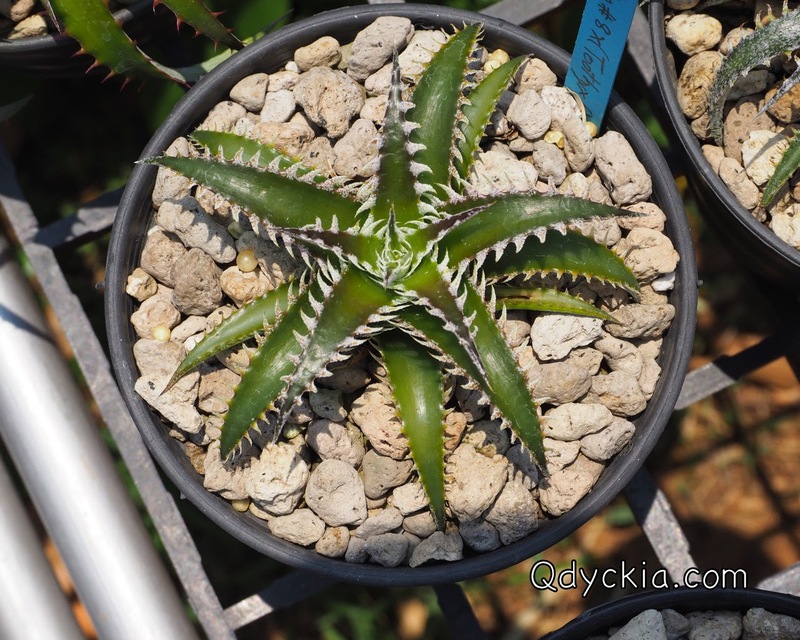 Yesterday we got heavy rain so now all plants in my garden getting fresh. 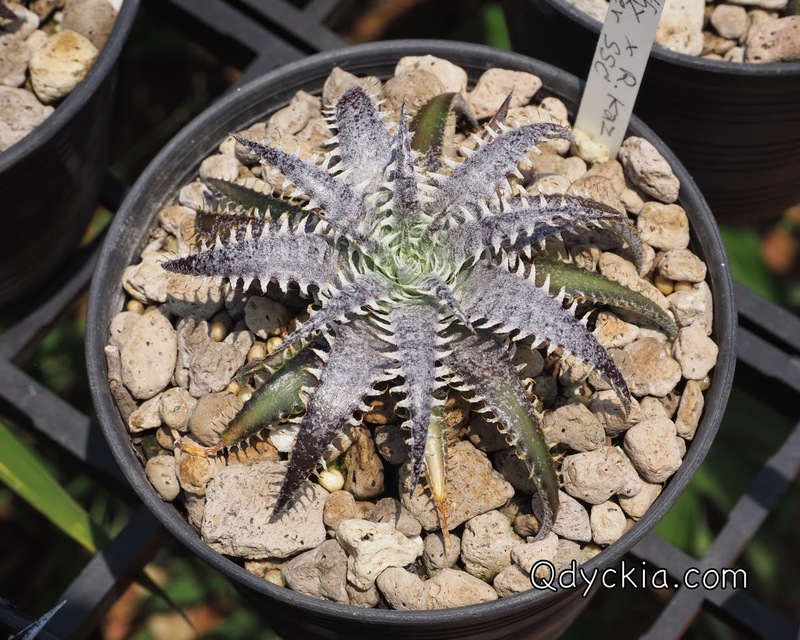 you will see them soon. 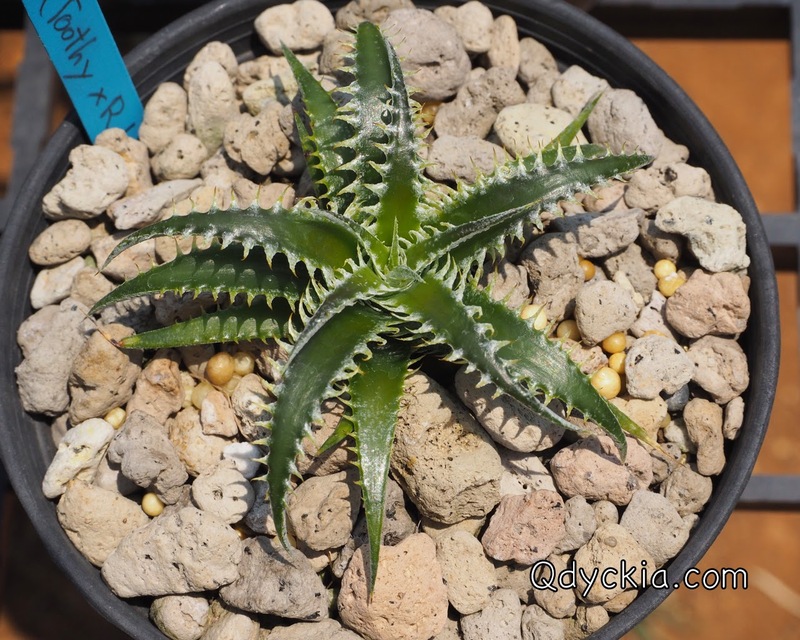 Dyckia Arizona original clone X Bangkok Star, nice and perfect spine. 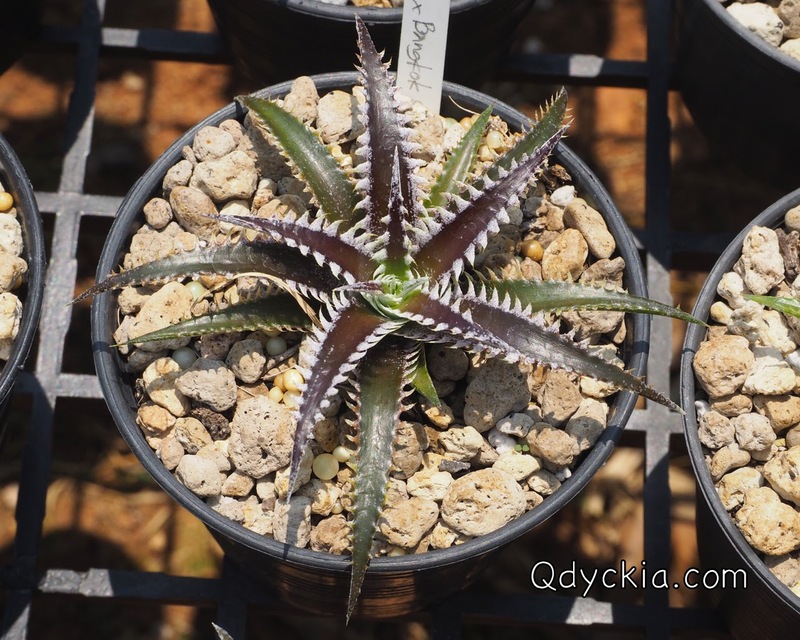 Dyckia Arizona original clone X Bangkok Star, white one with lovely teeth. 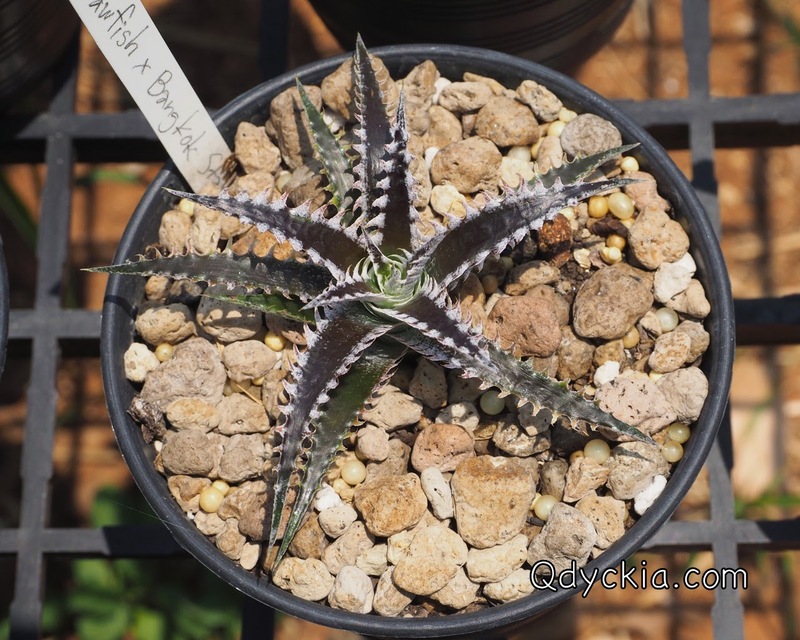 Dyckia Arizona original clone X Bangkok Star, white nice spines. 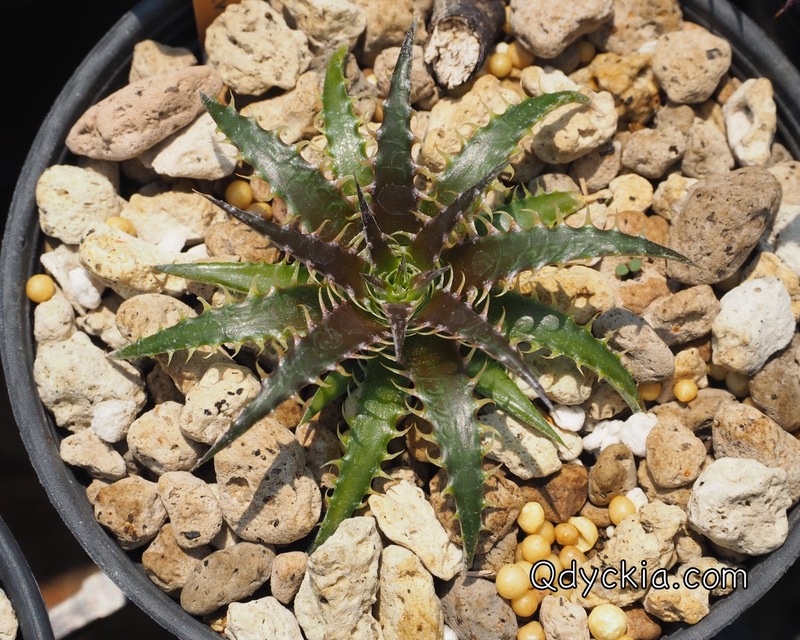 Dyckia Bangkok Star X fosteriana seedling select clone, you will love this cross. 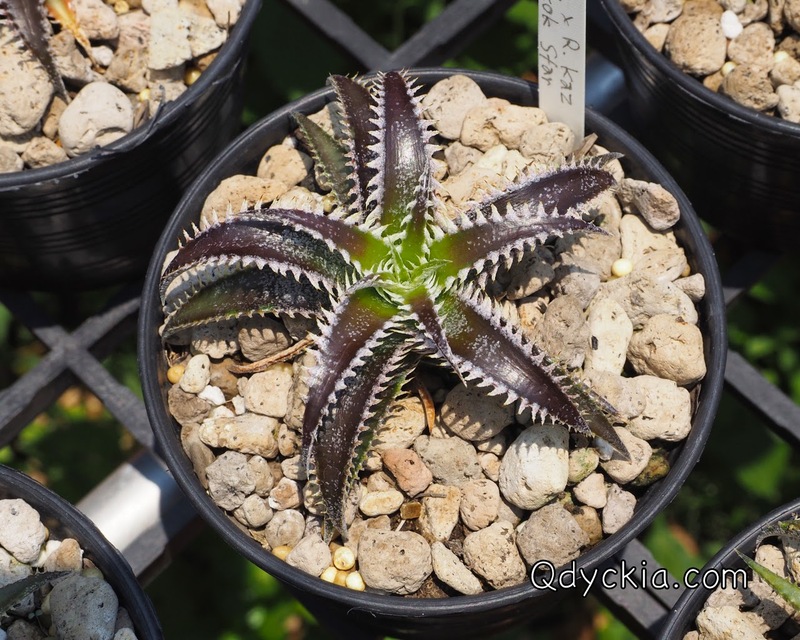 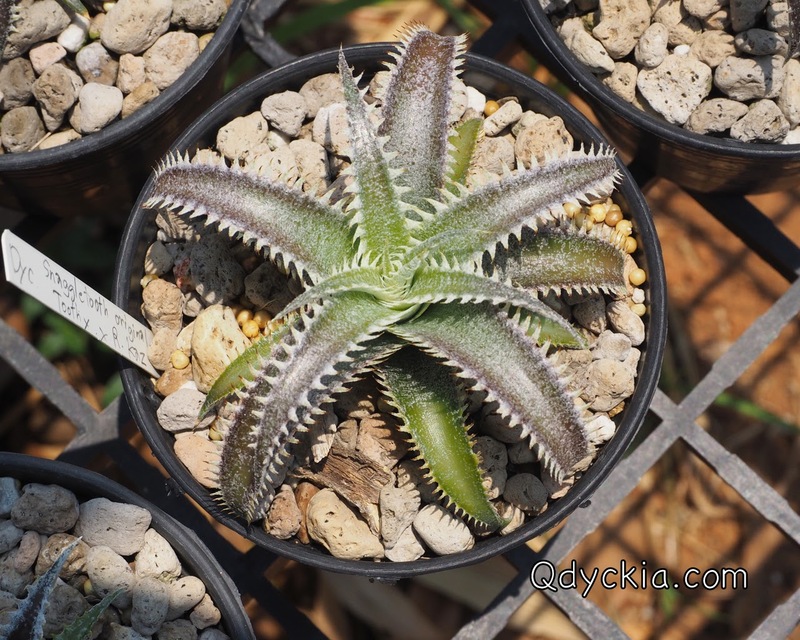 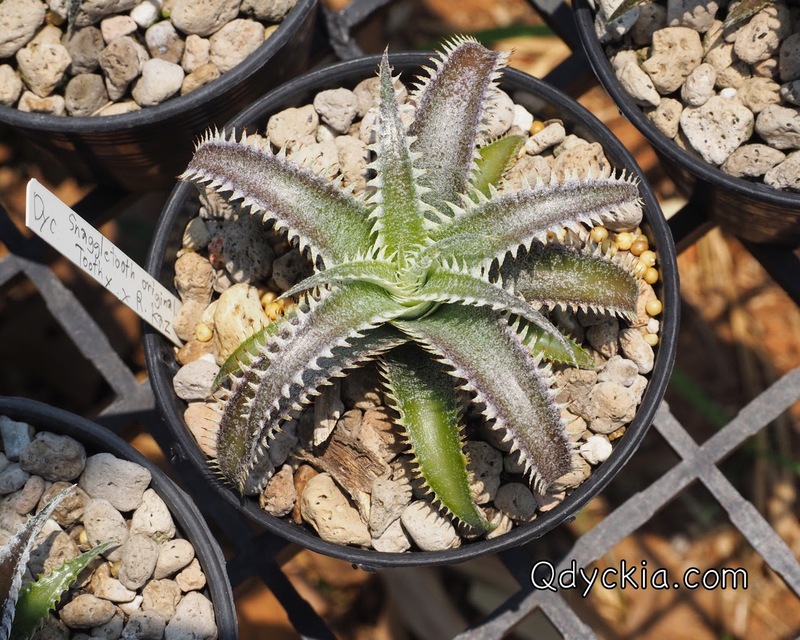 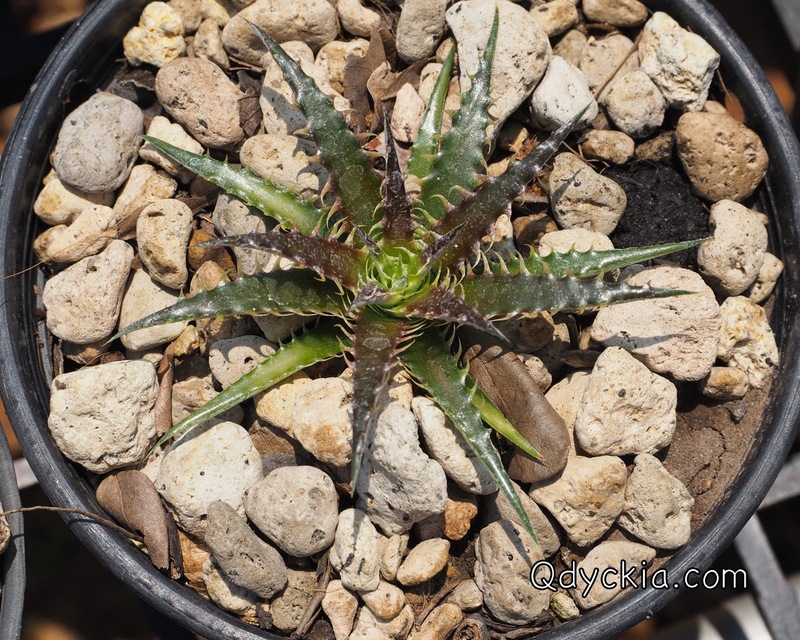 Dyckia Bangkok Star X fosteriana seedling select clone, small and compact with nice teeth. 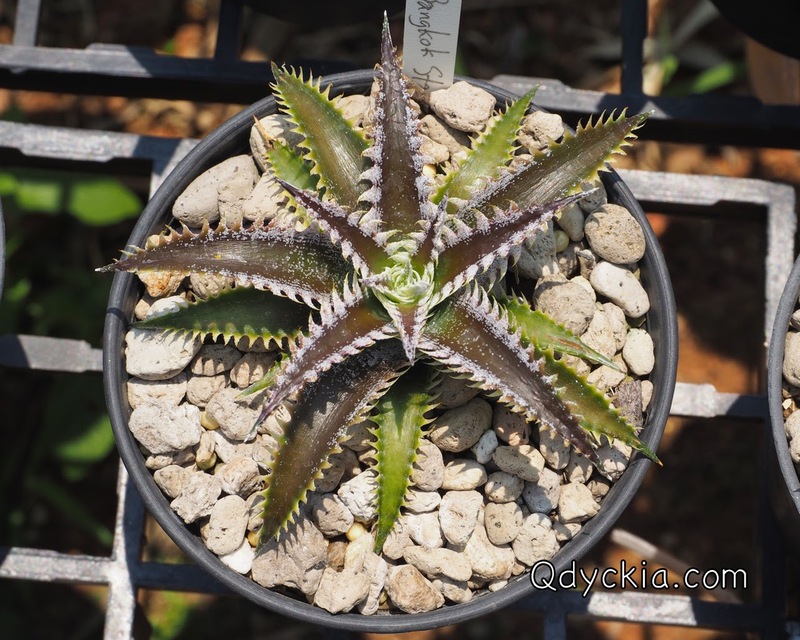 Dyckia ( Toothy X Richard Kaz ) X Bangkok Star, really love this one. 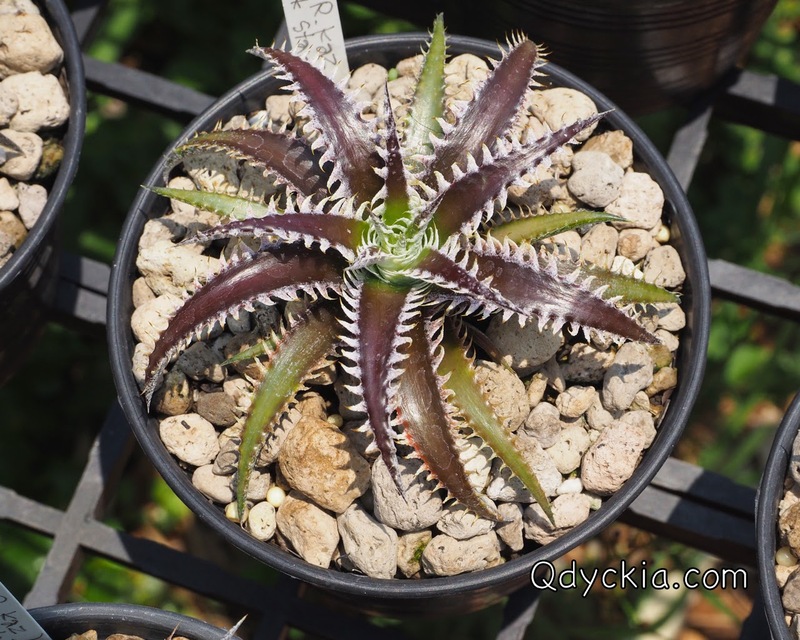 Dyckia Zinfandel F2 # 8 X ( Toothy X Richard Kaz ), very nice teeth. 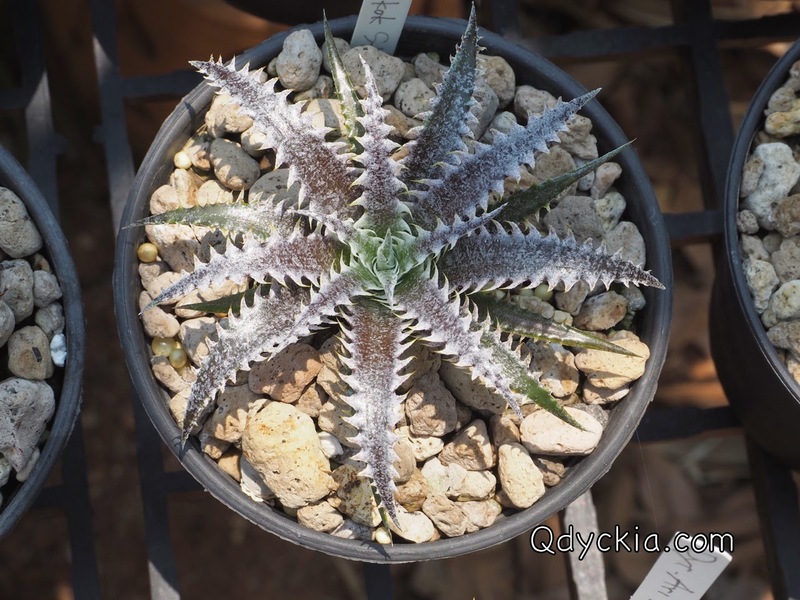 Dyckia Zinfandel F2 # 8 X ( Toothy X Richard Kaz ), perfect shape and trichome. 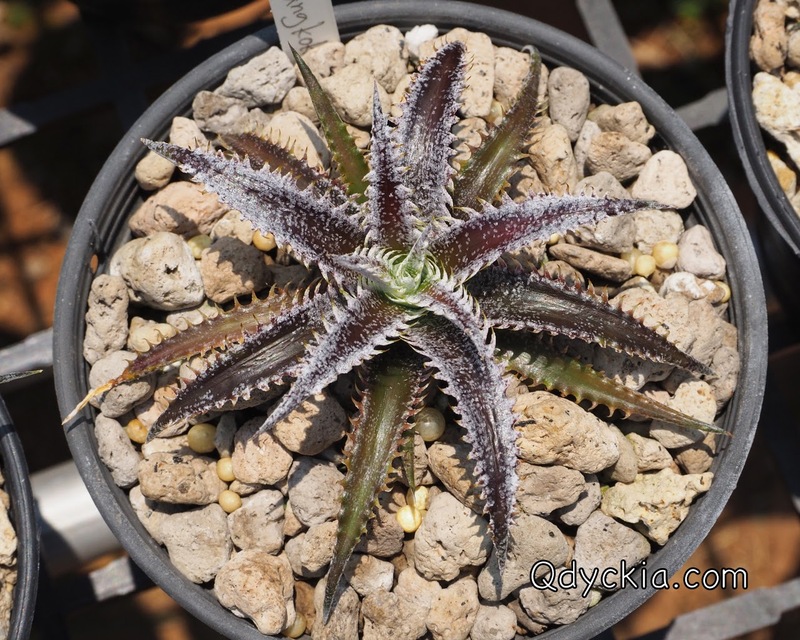 Dyckia Zinfandel F2 # 8 X ( Toothy X Richard Kaz ), good form and nice white spines. 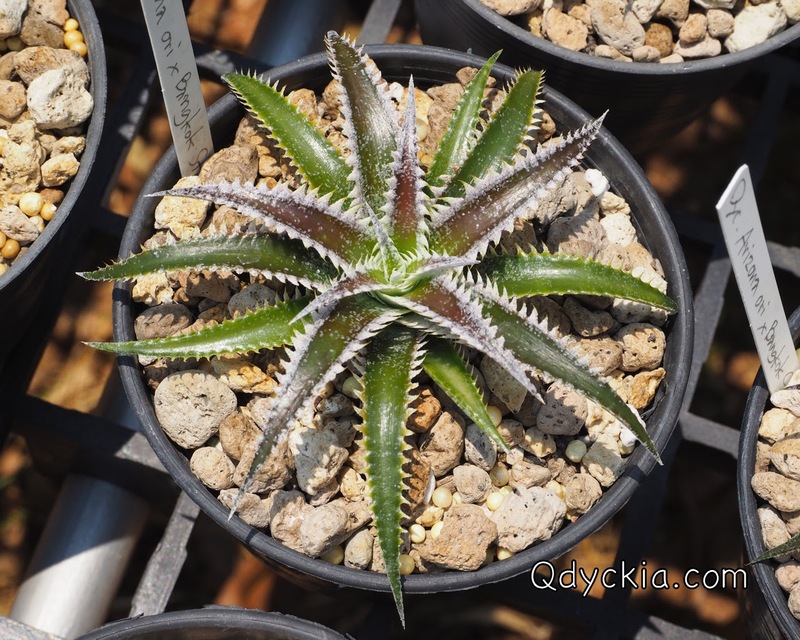 รูปที่ 7 Dyckia Sawfish X Bangkok Star, perfect pink spines. 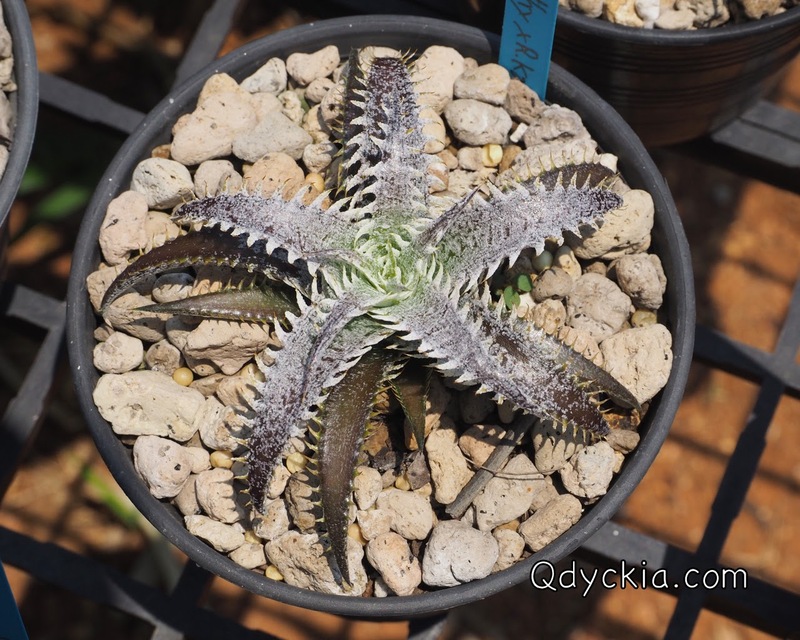 รูปที่ 8 Dyckia Squid X Bangkok Star, nice spines and trichome.